The park, Veterans Memorial Park, also contains the cenotaph, a tree sculpture, a155 MM Howitzer turret, and the stone giving the park its name. 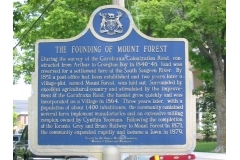 On June 27, 1979 the centennial committee chairperson Jean Weber and co-chairman Don Birtwistle unveiled the historical plaque "The Founding Of Mount Forest". 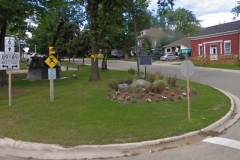 During the survey of the Garafraxa Colonization Road, constructed from Arthur to Georgian Bay in 1840-48, land was reserved for a settlement here at the South Saugeen River. 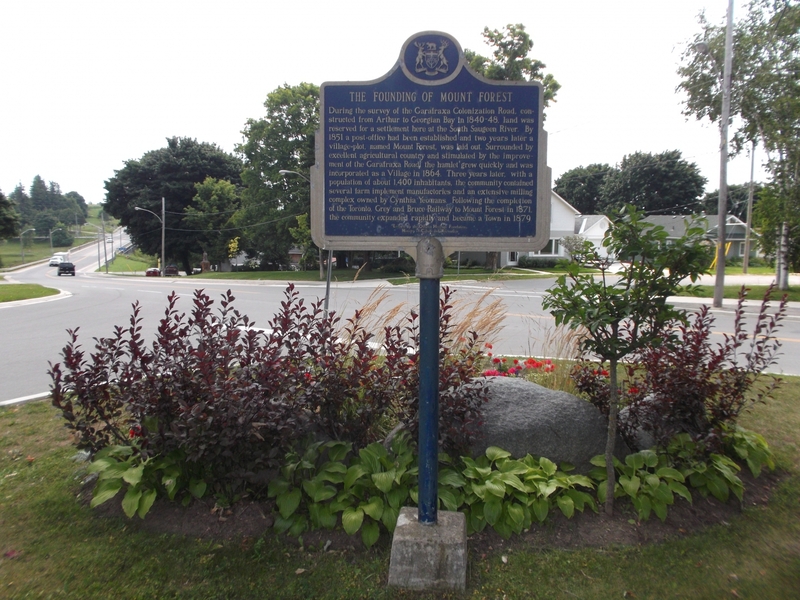 By 1851 a post-office had been established and two years later a village-plot, named Mount Forest, was laid out. Surrounded by excellent agricultural country and stimulated by the improvement of the Garafraxa Road, the hamlet grew quickly and was incorporated as a Village in 1864. Three years later, with a population of about 1400 inhabitants, the community contained several farm implement manufactories and an extensive milling complex owned by Cynthia Yeomans. 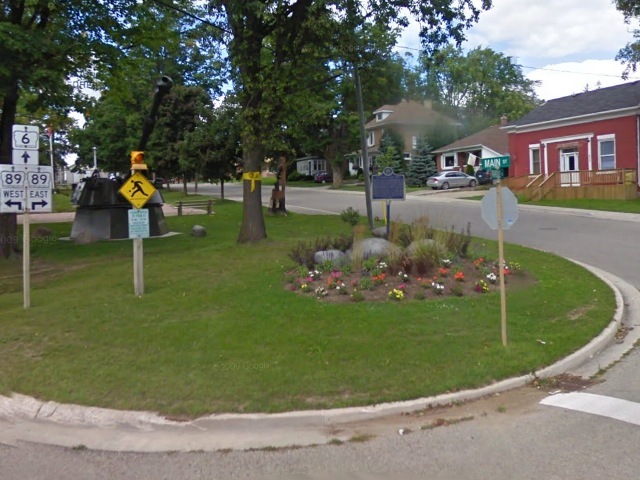 Following the completion of the Toronto, Grey and Bruce Railway to Mount Forest in 1871, the community expanded rapidly and became a Town in 1879.